Laser eye surgery is a form of cosmetic surgery that is widely available now. Many people are tired of having to wear contact lenses or glasses every day and opt to have the laser eye surgery to improve and enhance their vision. The simple procedure can mean that vision is back to 20-20 within just a few hours, making it a safe, quick and easy alternative to other vision correction. Many people have described laser eye surgery as an absolute miracle, feeling like they woke up and had forgotten to take their contacts out! Ultralase eye surgery offer a full range of eye care treatments, both for vision correction (laser eye treatment, intra ocular lenses and reading prescription treatments) and medical conditions (cataracts and keratoconus). Their customer service is second to none and they also offer free DVDs and brochures if you want to learn more about the procedure before going for a consultation, enabling you to understand more about the procedures before opting for one. Ultralase Eye Surgery involves a free consultation during which time an assessment will be carried out to see what sort of surgery is best suited to your needs. Prices with Ultralase Eye Surgery are fixed and all-inclusive, regardless of your prescription. LASIK treatments range from £1495 to £2495 per eye, and LASEK treatments range from £995 to £1995 per eye. 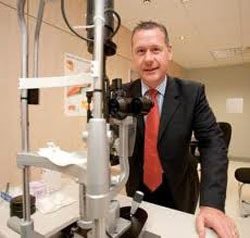 Ultralase Eye Surgery offer a range of payment options, making your treatment more affordable. Their prices include a life time aftercare plan. You will also receive a post treatment check-up one or two days after your surgery as well remaining under the care of a specialist for six months after the treatment. This means that you will be able to find a clinic near you, no matter where in the UK you live. Ultralase Eye Surgery offers excellent solutions for your corrective or medical eye surgery, convenient payment options and clinics across the United Kingdom. Furthermore, their surgeons are all certified by the Royal College of Ophthalmologists, giving you peace of mind that your eyes are in good hands. Ultralase Eye Surgery offer very transparent and honest treatment, ensuring you are aware of any potential risks of having this type of surgery. However, for your complete peace of mind, your treatment will be covered by their life time after care promise. If you want to regain your sight, the Ultralase Eye Surgery clinics are one of your top options.